A few thoughts on the Arsenal 2 Newcastle 1 league match | "It's all about the Arsenal"
Afternoon Gooners… Match report time as I saw the game. After very busy day at work, but with no hassles I arrived home to her indoors serving up a nice sausage casserole. After eating said nosebag, I decided it was to the bedroom to watch this match. Gary Neville and Matt Le Tissier are my pundits to share the evenings festivities with, I would say two of the best on Sky Sports TV. As is my want, I do not turn TV onto Sky’s coverage until just before kick off. Arsenal doing all the running and RVP finds himself with space in the area with a chipped pass from his mate Song only he cannot control the ball, and it runs loose, however, a mix up in the Geordie defence almost allows RVP a second bite of the cherry. REFEREE have you been to Specsavers? Tiote stamps on Songs foot, something Song got subsequently banned for in the match at Sports Direct in the first game of the season. Not even a yellow. Arrrrgggghhhh!!! Newcastle make the break though The Verminator tries to intercept the pass goes astray. Ba collects and puts the ball out Ben Arfa, who takes on Gibbs, comes inside and hits a beauty into the net at S13’s near post, 1-0 Newcastle..
Gooooooooooooooooal…. The lead does not last 54 seconds as Rosicky plays in Theo, who in turn crosses to RVP and with two sublime touches to control the ball take out a Newcastle defender, hits the ball past Krul and into the net 1-1. 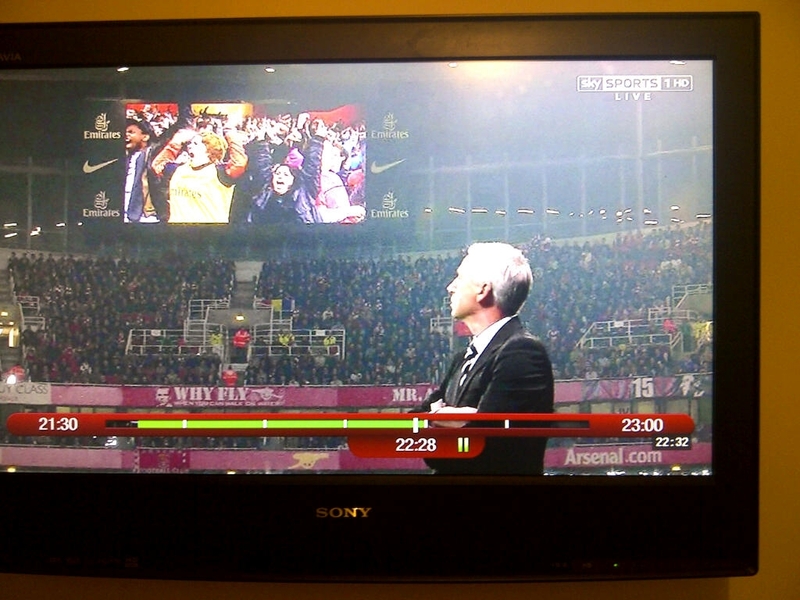 Sit down you Muppet Pardew, waving your book in the air as if you own the place. All the pressure and football being played by Arsenal in Newcastle’s half now. Arteta-Rosicky-Theo-RVP and shoots over the bar. This is much better. Free kick to Arsenal for foul on Oxo… Shot by RVP that is on target but does not trouble Krul. Arsenal playing some great stuff and starting to insert pressure..
Lots of possession now for Arsenal and we get a free kick, RVP crosses and it comes to nothing. Oxo is not really in the game and it looks like the pressure might be too much right now for the young lad. Kos is fouled and first look it does not look a good tackle, but Tiote sportingly kicks the ball out of play. Well done that man. Ba and Bosscielny crash heads together. First up The Bossmeister, while Ba get treatment. Arsenal come forward again, Perch who was brought on presumably to keep an eye on Walcott (or have a Parrot sit on his shoulder), can’t stop Theo putting a wicked cross that is headed towards the goal by Rosicky which is parried by Krul. This is followed by Oxo on the edge of the area who collects the ball with some great control and hit a volley over the bar. Good effort lad. Arteta sends in a great cross and snap shot by RVP is saved by Krul, might have done better. RVP just seems a little off his game. Now fantastic play by Rosicky who puts in RVP yet again comes to nothing. Oxo gets the ball and does solo run towards the goal and shoots wide, the camera pans to him and he does not look happy with himself there. Finally Tiote booked for foul on Rosicky and about time,. Arsenal play it nicely down the left and RVP is there to put low hard cross in and Krul who is playing well saves. This is followed by fantastic play from Theo and Rosicky and sees Mozart misses what would have made his performance almost perfect, he deserved a goal tonight. The Ox goes off to be replaced by Gervinho and minutes later Rosicky leaves to be replaced by Ramsey. Gibbs finds RVP in the area who takes the shot with his right and it flashes across the face of the goal and goes out for a goal kick, Arsenal trying to hard, need to relax a bit more in front of goal. Now another chance for RVP that is not take. Corner to Arsenal. Arteta takes and it goes right across the goal and ends up at the feet of Gervinho, who should score from their but his weak effort goes past the post for a goal kick. Another Arsenal corner and this time the ball is cleared off the line. Come on Arsenal, we can do this. The board goes up 5 mins of injury time to be played, the crowd roar and to be fair they have been right behind the team all night. This is Krul injury time. Another corner and this time Krul saves well from TV5’s header from a Song cross that was looping in. Newcastle totally under the kosh, Shot comes in that is deflected into Theo Walcott’s path and his snap shot is blocked Coloccini. Walcott screams PENALTY!!! Not that time Theo. Newcastle throw-in. Time is ticking away. We need to close that gap to one point. Newcastle make mess of throw-in and are robbed of the ball, Arsenal break. Song- Walcott who crosses, RVP and Ramsey go for ball that runs loose and there is TV5 to score Yeseeeeeeeeeeeees!!! Bloody Yeeeeeeeeeeeeees!!! 2-1 Arsenal!!! TV5 makes up for earlier mistake for Newcastle’s goal. Football does not get much better than this. At this time a Loud explosion was heard in N17 North London, anti-terrorism police were alerted, but it only turned out to be Spurs blowing a 12 point lead. Not sure what Krul was trying to do, if it was not for his time-wasting they might have sneaked the draw. You got what you deserved mate. NOTHING!!! Arsenal become the first team ever to win four games on the trot after being behind. and three last-minute winners in those games. Arsenal have found the spirit and leadership they have been lacking and also found themselves with two full backs who we need for our attacking play. MIND THE GAP!!! One point now and GD wiped out. Theo Walcott deserved MOTM award. Two more assists. That was how the Arsenal can play. Full on and with full backs. Theo flourishing with Sagna behind him. We’re playing very well now and fighting for each other. This match and our league run has shown how it’s the bloody injuries that have affected us more than anything. Well done lads for some stirring performances of late and bring the hope back to many Gooners and giving us something to shout about. Well done Arsene Wenger for sticking with and keeping your head it while many around you were losing theirs. 10 games left and it could be a good run in between Chelsea, Spurs and Arsenal and as three into two won’t go, one of us are going to miss out on Champions League. would just like to comment on the last two sentences, if I may. Re Arsene – yes, he’s turned it around. Very well done. Happy for him, although I do think we need a change in the next year or two. The last sentence. I think you’ll find two into three [i]does[/i] go. And you are right. You do know the brain reads things the way they should be, so I have no doubt I got it wrong way round, yet your brain read it the right way round.